We are Calgary’s premier destination for headphones and all it’s accessories. We carry selection of wireless, noise cancelling, sport and fashion headphones. Every headphone we carry in store we make sure to do extensive research and listening sessions to make sure our customers are receiving a quality product. Expert Advice: We have dedicated staff members who specialize in headphones to make sure you get the right advice. Try Before you buy: Most of our headphones for the exception of in ear models can be auditioned to make sure it is right for you. The right fit: No matter what reviewers say if it does not fit properly you won’t be satisfied. Our try before you buy ensures that your new pair of headphones fit properly and are comfortable. We source some of the highest quality bluetooth and noise canceling headphones available on the market today. If you are always on the go and prefer to have no cables, wireless bluetooth headphones are the way to go. For those who travel often and are looking for peace and quite, have a listen to our range of noise cancelling headphones. Our premium headphone brands offer the highest quality in sound reproduction. In order to extract the most of these headphones they are designed to be used with a separate DAC/Amp. These headphones are designed for critical listening and puts you in front of the artist. Our Sport headphone lineup is designed to be used for fitness and even extreme sports. Some of the sport headphones we carry are water resistant and are designed to fit securely around your ears. Sport headphones are designed for durability to increase the reliability when used for an active lifestyle. Many people consider headphones as a fashion accessory. 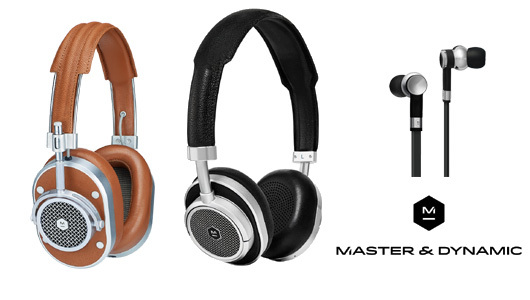 We have sourced some of the best sounding and stylish headphones available today. We carry a selection of headphone amps and DACs to help improve the performance of your headphones. Whether your looking for portable player or a desktop style we have you covered. These dedicated portable players are designed extract the most of your music while your on the go. Most of these players will support a wide range of high resolution formats. These units can be used as a high quality storage device and streamer for your existing home audio system. Focal has been designing speakers for all applications for more than 30 years, by developing new technologies and innovation Focal is able to captivate and attract their listeners. Focal is known for their manufacturing, most are handcrafted and constructed in France. R&D, designs, assembly, and testing are all carried out in France which allows them to guarantee quality. Focal has recently released their new high-end lines of headphones with the latest innovations and technology. The new Listen, Elear, and Utopia are equipped with a full range driver to ensure realism, neutrality, dynamics and clarity. Focal being the first ones to place a full range driver into a headphone is quite remarkable. Constant innovation, technology, manufacturing and quality all play a part in Focal’s success in bringing the emotion back into music. 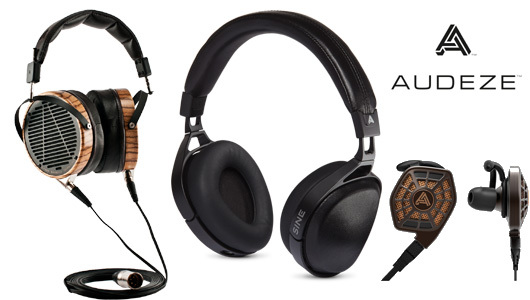 We are pleased and excited to announce we are adding Audeze to our headphone line up at the Audio Room. From its high-end planar magnetic technology, its unique designs by Designworks (a BMW group subsidiary), to its handmade craftsmanship with precision and engineered only with the best materials. Audeze without a doubt should be on your short list when considering headphones. Audeze is an innovative technology based Company, founded by Sankar Thiagasamudram and Alexander Rosson, out of their garage in 2008. Their passion for technology, innovation and love for music has led Audeze to be one of the most desired and recognized brands for headphones today. Audeze puts the excitement back into the music with their Award winning LCD series, EL8, and the SINE series, all of which can be heard at our store. Master Dynamic is a high end headphone brand founded in 2013 in Midtown New York. The city based company had a goal to design headphones that would reflect their deep passion for quality, fashion and most importantly sound. Master Dynamic’s collection of headphones deliver a rich warm sound with dynamic detail without fatigue. Master Dynamic headphones are engineered to last by using the highest grade of materials, and unmatched designs for everyday use. This unique headphone collection sounds as beautiful as they look come and have a listen. Grado Labs is a company based in Brooklyn New York, John Grado has been making Headphones by hand since the 1990s. Headphone performance to levels previously attained by only the very best full-range speaker systems in areas of dynamics, pitch control, harmonic accuracy and bass quality. Prestige Series of headphones went on to win more awards than any other headphone line in the world. Today even after many years Grado is still considered one of the best sounding headphones. 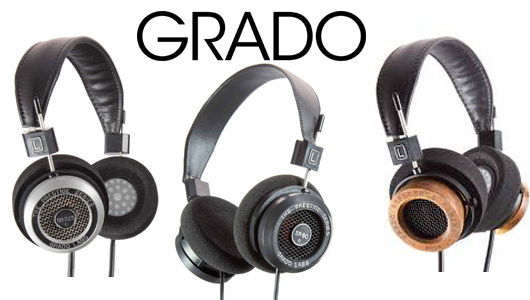 Experience Grado headphones here at the Audio Room.